Bill and Fred grew up on the family farm between Sequim and Port Angeles. 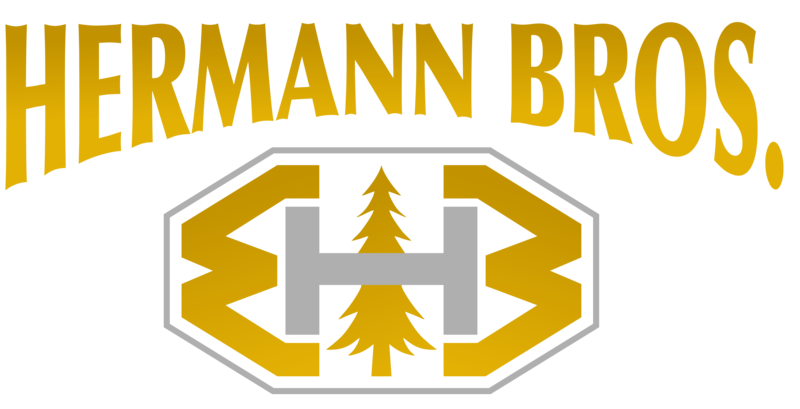 The families remain near the farm that is the headquarters for the Hermann Brothers business. The business was started by the brothers more than 50 years ago. Bill works closely with the community and acts as spokesmen for the company. Bill is a strong supporter of environmentally responsible logging and the forest industry. He is often at the forefront in helping the local community understand and support a strong local economy. Fred is the President of Hermann Brothers and Evergreen Fibre Inc. Fred manages the logging division of Hermann Brothers and oversees all logging and biomass harvesting jobs. Fred does most of the bidding for logging projects and can often be found working on many of the road building projects that Hermann Brothers uses to transport equipment and products safely in and out of logging sites. Mike is the son of Bill Hermann. Mike manages both the trucking division of Hermann Brothers as well as Evergreen Fibre Inc. You will often find Mike working right alongside the company employees or more likely on the phone or computer arranging truck and production schedules. Mike is a firm believer in doing whatever it takes to get the job done, safely, and efficiently.